Black tie elegance at a blue jean price! Let the year unroll with all the grace your organization deserves. 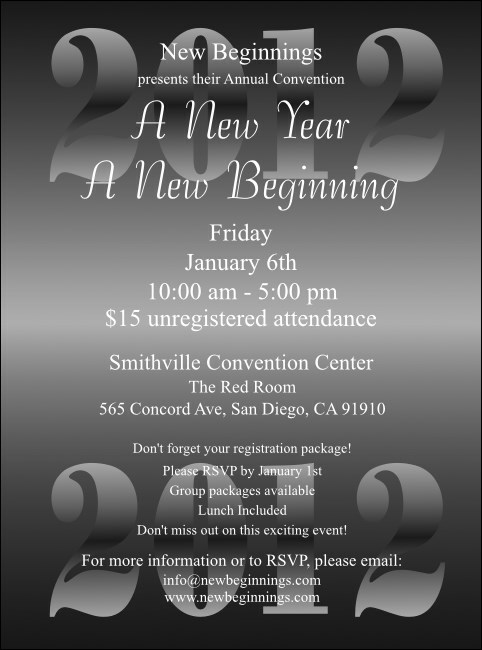 Advertise your big yearly event with a sleek, simple Year Flyer. In rolling shades of gray with white text this flyer template helps you announce formals, holidays, parties, graduations, and more! Complete your look with TicketPrinting.com's matching year promotional materials.